Always file a float plan in the form of a note, email or voicemail with someone you trust, such as a family member or friend, so they will know what to do if you don’t come back on time. Check all recommended safety supplies and equipment on board periodically, such as first aid kits, sunscreen, spare batteries and flashlights. The American Boating & Yacht Council has released a free app called “Boating Essentials,” which is designed for both new and experienced boaters. 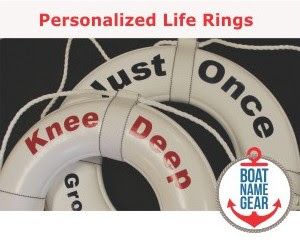 Not only will boaters be able to identify a safety checklist of all the items they are required to have onboard, but also receive maintenance guide alerts and monitor their supply lists. Consistently wear a U.S. Coast Guard-approved life jacket. Every person on board should be wearing a life jacket that is the right size and fit because it is the best defense against drowning. 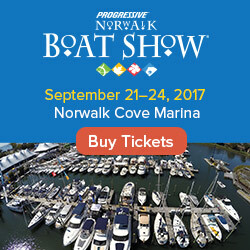 Complete routine boat safety inspections. Check the navigation and safety lights, steering, engine fluids, electrical and heating systems, bilge pump and anchor. The ventilation system is often overlooked, as well, so periodically make sure that all openings are free of obstructions, the ducts and ducting are not blocked, and make sure worn components are replaced. Refill and replace fire extinguishers so that they are in functioning order. There should also be a supply of flares available in the event someone needs to send out a distress signal. Beware of carbon monoxide hazards while on the water. Dangerous concentrations of carbon monoxide can accumulate when a boat is by a pier, near a seawall or alongside another boat. Do not run engines for extended periods of time under these conditions without continuous monitoring. Check the weather forecast, as sudden summer storms can place boaters in rough conditions. In these cases, reduce your speed, keep bilges free of water, head to the nearest shore or even anchor the boat, if necessary. For more information on the marine programs at Broward College, contact Anthony Digirolamo at 954-201-8616 or adigiro1@broward.edu.